OAK Telecom® connects businesses and government departments with fast, reliable, secure broadband communications solutions. We specialise in simple, easy-to-implement, and easy-to-maintain private broadband WAN networks. These WANs include MPLS, TLAN, IPVPN and VPLS types using Ethernet connectivity. We utilise the carrier services of Telstra, Optus, Nextep, AAPT, iiNet and TPG in a seamless and well-integrated manner to provide our clients with a reliable, business grade communications solution. In addition to setting up WAN networks, we provide services such as disaster recovery, cloud back-ups, voice over IP telephony and teleworking solutions. 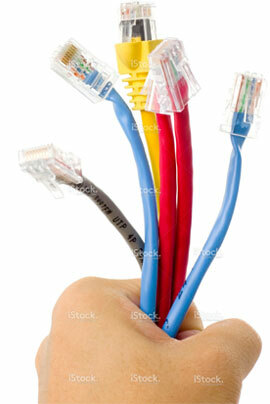 We also provide consultancy services to help design your network solutions. With extensive industry experience, our team will provide you with the ideal communications services for your requirements. OAK Telecom specialises in providing services for medium-sized businesses and government departments such as local councils, libraries, medical organisations and commercial organisations. Contact us today and we can design and provide the perfect solution for your communication needs.